Kalispell, Whitefish, Columbia Falls, and the Greater Flathead Valley area. Willing to go outside these area by arrangement to help find your lost item. No call out fee for disabled Vets. There is a minimum call-out fee of $25 which is required even if the lost item is not located. This $25 call-out fee helps cover my travel/fuel expenses and will apply to searches in the immediate Flathead Valley area. If the search location requires me to travel outside of the Flathead Valley area, the $25 call-out fee may be greater and it must be agreed upon in advance. Beyond the call-out fee, I work on a reward basis only. So, it will be up to you to determine the fair value of my services if I locate your missing item. I own high quality detectors to search for Gold and Relics at Beaches, Parks, Yards, Ghost-towns, and construction sites. Soon to acquire underwater equipment. Client must provide written permission to hunt on private property. 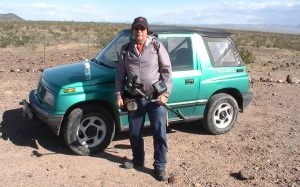 I have been detecting for over 36 years in many places (IE) Montana, Washington St, California, Nevada, Arizona, Pennsylvania, N. Carolina, Mexico, Belize, Honduras, and England. I have acquired a great number of finds and memories in each place. As a disabled Vet I have been the member of many treasure hunting organizations and have taught young and old the fine art of Metal Detecting. I became a member of the Ring Finders Team to help recover those lost heirlooms of Jewelry and meaningful precious personal items.